In simple terms, narcissism refers to an “inflated sense of self.” While it may be easy to assume that those with narcissistic personality disorder (NPD) are simply in love with themselves, it is important to realize that these individuals lack a core self. In fact, they most often are in love with this grandiose image of themselves because it helps them escape deeper feelings of insecurity. Unfortunately, those that are in a relationship with a narcissistic spouse or partner can suffer most. At Triune Therapy Group, we recognize the toxic impact that narcissism can have on others, and we can help you set needed boundaries and heal from this type of relationship. If you have personally been diagnosed with narcissism, we can provide the dedicated and often intensive counseling services you may need to improve your condition and lead more “give and take” relationships. Are You in Relationship with a Narcissist? The first step to getting help from this type of toxic relationship is to recognize narcissism in your partner or spouse. This involves identifying the traits and warning signs of this disorder, which you may have been living with for quite some time. At Triune Therapy Group, we have skilled clinicians who are highly trained to treat those that are in a relationship with a narcissist. How can one know they have been negatively affected by such a relationship to begin with? It varies from person to person, but a good indicator that one has been negatively impacted by such a relationship is that they lose some of the zest they once had for life, and begin questioning everything. Another key indicator, is that you feel exhausted all the time when interacting with the person. Their need feels like a bottomless well, and no matter what you do, you can’t do enough. Why is it so hard to build self-confidence after being in a relationship with a narcissist? How long does it take to recover from such behavior? How long it takes to recovery depends on someone’s internal and external resources (before, during and after the relationship) and how much they are willing to work at it. It is difficult to heal because a narcissist systematically breaks down your self-esteem and tries to isolate you in really insidious ways, so it’s hard to spot it until you’re already so far down the rabbit hole. The key is to surround yourself with supportive people, a skilled therapist, and to develop solid boundaries if you need to remain in contact with the narcissist. If you don’t need to remain in contact (i.e., because they are your family or you share children) going no contact often helps speed up the process of healing. How many types of narcissists exist and which ones are the most dangerous? Different schools of thought categorize and labels narcissists in various ways. Most people think of the extroverted, grandiose style of narcissism. Think “Gaston” from Disney’s Beauty & The Beast. This is an overt style of narcissism, and often what people refer to when they describe a malignant narcissist. A covert style of narcissism is on display when the person is so shame based that they can’t fathom another person would love them. In other words, an overt narcissist is not in touch with their shame (hence the grandiosity), and the covert narcissist can’t get out of their shame long enough to be present for anyone else. They are both dangerous, in the sense that if you are in relationship with them, your needs will always be secondary, if they are considered at all. What are the common traits of people suffering from being in a relationship with a narcissist? Can a narcissist turn violent or aggressive? What should a person do in that case? Anyone has the potential for violence, but a narcissist is inclined to what are sometimes referred to as “narcissistic rage” or as I refer to them a “shame rage.” This occurs when the narcissist’s fragile facade is punctured in some way and a little bit of shame leaks into their experience. For example, if a narcissist is caught in a lie, they may become belligerent and hostile, as a deflection and blame you or pick a fight. Certainly, they can become physically or sexually aggressive as well. When a narcissist’s entitlement is challenged, and if they struggle with emotional regulation (which most do), then rage is a more likely outcome, though verbal and emotional rage (or passive aggressive behavior – like an affair) are more common than physical rage. In any event, violence of any kind is not to be tolerated. I recommend leaving the situation immediately, and possibly the relationship. Is it possible for a narcissist to heal? Can it ever be better? A personality disorder is more challenging to heal from entirely, but it is absolutely possible for someone with narcissistic traits, or the disorder, to improve their condition and lead more reciprocal lives. They just have to be sufficiently motivated (which is where having good boundaries – i.e., consequences for the narcissist – are key). What can you do to protect yourself if you are still involved with a narcissist? Get Support. Get more support. Then get even more Support. I cannot emphasize this enough. 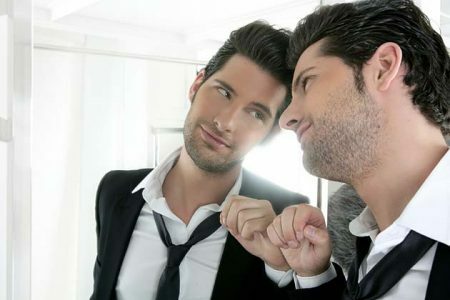 The idealization of the narcissist can be intoxicating, especially if you have grown up with a narcissist, and have deficits in self-esteem, so it is important to engage in regular reality testing with trusted friends and family, and/or a therapist, and maintain a robust social network. If you share children with a narcissist, make sure you have a good lawyer, and know your rights. Have a safety plan in place, ready to go at a moment’s notice, and document your experience with the narcissist for two reasons: 1) your own sanity in the face of the inevitable gaslighting, and 2) so you have a record should you need to pursue any legal action. What are the warning signs that you are in a relationship with a narcissist? There are many warning signs that you are in a relationship, but they are often tricky to spot, so don’t beat yourself up if you’ve missed some. Look for the cycle of being idealized (or told you’re perfect, amazing, wonderful, etc.,) really quickly after meeting them (you’re great, I know! But how can they know that – you just met! ), and then being devalued (or criticized) either out of the blue or because the narcissist felt challenged (by you or someone else – its not fair but narcissists often displace their reaction on others), and then feeling discarded by, or unimportant to the narcissist. Perhaps they invited you on a trip with their family during the idealization phase, and then a few weeks later, they are discussing the trip and do not include you in the plans. Other signs include being gaslighted, or being made to think you’re wrong or (even worse!) crazy for observing something about the narcissist. If you find yourself thinking “Am I losing my mind here?” you are likely being gaslighted, and that is a HUGE red flag that you may be in a relationship with a narcissist. What is your advice on how to love and nourish one's self after being mistreated by a narcissist? My best advice would be to take some time off dating for a while (if the relationship was romantic) and realign yourself with a practice of self-care. Self-care means paying attention to your own needs first, and then (when your well is full) being able to meet the needs of others. The narcissist demands all of your energy, and is happy to deplete you, and then put you down or trade you in when your tank is empty. Self-care means learning how to say “NO” and preventing your tank from being depleted. This takes practice. Seek a therapist, or engage in some kind of recovery program, so you have some scaffolding and support. What self-care practices should one put in place to start the recovery process after dealing with a narcissist? First, get support and lots of it. Kind, nonjudgmental friends and family, and a well-trained therapist are key in beginning the recovery process. Getting real with your feelings is necessary, because during an abusive relationship people often dissociate from or compartmentalize their feelings, and reconnecting to them is key in navigating your own healing. I recommend building a strong boundary practice and examining any pre-disposing traumas or toxic relationships that may have set you up to engage with a narcissist. Usually, we seek out what is familiar – so it is likely that this is not the first narcissist you’ve encountered. Read up on narcissism and familiarize with yourself with the signs. The post-mortem exploration can be challenging, but is key in ensuring you don’t repeat the pattern in your next relationship. Journaling as you read can help you synthesize your thoughts and feelings. Take a yoga class, or a boxing class, or a self-defense class! Activating yourself toward protection and relaxation are important in reconnecting with your own assertion and self-protective voice! What makes a recovery from a narcissist different from other post-breakup recoveries? Usually, the relationship with the narcissist was very one sided, and when healthy relationships end, there is consideration for both parties’ emotional response and while sad, they are often far more respectful in the end, as they were throughout the relationship. A narcissist will try to eviscerate you with words or otherwise, in order to devalue you in an effort to convince themselves of their own worthiness. If you are the one ending the relationship, the resistance, vitriol and hostility will likely be even more intense because narcissists can’t handle rejection. They will often try to hoover you back in to the relationship, either under the guise of friends, or with more idealization because the loss of their supply represents an emotional threat. This process is often intense and exhausting, and leaves the other person with much uncertainty, guilt, fear, isolated from character assassination or without resources to move forward. Are all the emotions felt by narcissists about themselves? Do they care for others? Narcissists care about others in their own way, but generally the narcissist’s emotional focus is pretty myopic and their care about others is limited to how it effects themselves. They can experience empathy cognitively, but the more acute cases of narcissism struggle to feel empathy for others. How should one approach a narcissist? What is the best way to deal with them? How to approach a narcissist depends entirely on your anticipated or existing relationship with them. The best way to engage is to keep your own needs and feeling at the forefront of your mind, remain assertive, keep your boundaries, and be prepared to issue relational consequences if you feel your boundaries are being usurped. Do not allow yourself to be run over, do not give the narcissist the benefit of the doubt. A strong offense is the best defense in a relationship with a narcissist. Now, I am not suggesting you enlist manipulations of your own, but rather, know that the narcissist is willing to take everything you’ve got and then some, so know your limits, (and if you don’t, take time to figure them out! ), and maintain a strong support network. Why do people stay in relationships with narcissists? What can friends and relatives do to help? Usually people stay in toxic relationships because its familiar (they grew up with a narcissist, so this is what love feels like), they don’t know what is going on, or don’t believe they deserve any better. Some people feel trapped (usually they feel are stuck financially or because cultural/religious attitudes prohibit them from leaving), and leaving would be a big risk or they don’t think they’d survive (either the narcissist’s wrath, or the alienation from family, or the financial devastation). Family and friends can remain non-judgmental, listen, and offer assistance in going no contact, or starting over. What kind of therapy do you offer people that have been abused by narcissists? How do you help them? What is your approach? At Triune Therapy Group (www.triunetherapy.com) we offer several kinds of therapy for people recovering from toxic relationships, including a 12-week group for women that focuses on understanding/exploring the impact of traumatic relationships in every domain of life and blends together education, group support and processing, and trauma-sensitive yoga, aimed at helping women re-establish an empowered relationship with their intuition and bodies. We also have a 12-week “Healing from Toxic Relationships” coaching program that is available for men and women online or in-the office, and fosters a strong foundation for recovery. Our skilled therapists are well trained around healing from relationships with a narcissist, and can walk you through every step needed to rebuild your life and prevent the pattern from continuing in future relationships. Feel free to give us a call at phone number(310) 933-4088 if you’d like to learn more. Do you have any good methods of releasing rage? Yes! What works will depend on each person, but some ideas include journaling about it, writing letters that express it (without sending them!) and reading them aloud to trusted others, and getting physical. Trauma therapists understand that our emotions live in the body, and in order to fully heal addressing the body’s storage of those feelings is key. Engage a somatically trained therapist, or therapist that works from the bottom up with modalities like EMDR, Neurofeedback, CRM & TRM, Trauma Sensitive Yoga, or Somatic Experiencing. Take a boxing or self-defense class, or a vigorous yoga class. Stay integrated with your body and don’t be afraid to feel your feelings. If that rage leads you to want to hurt yourself or others, then seek help from a therapist immediately, or call 911 if its imminent. If you or someone you know is struggling within (or healing from) a toxic relationship with a narcissist, please feel free to contact us online or call us at phone number(310) 933-4088 or info@triunetherapy.com to learn about our 12-week online or in-person “Healing from Toxic Relationships” coaching program for men and women.